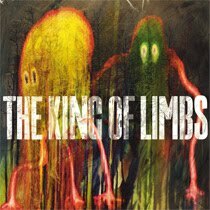 So Saturday, February 19th 2011 it is official new Radiohead album "The King of Limbs" will be here. This is just like Radiohead to just pop up and say oh yeah we have a new record out in 5 days. Everyone knew that they were to have a release in 2011 and we all kept waiting to here what the album would be titled and when the release day would be - but Whoa this is just typical Radiohead doing their thing and not giving into any of the record label games. They announced the news on their official website, www.radiohead.com early today (February 14). It is available to order online at www.Thekingoflimbs.com. The record will be available as a download from Saturday, then released physically on May 9 as what the band are billing as a 'newspaper album'. The 'newspaper album' package will contain 'The King Of Limbs' on CD, two 10-inch vinyl records and artwork sheets. Those who buy the set will also receive the album as a download on Saturday. $48 is the price of the whole package if you buy it on Saturday or $9 just for the MP3 version. Looks like no buy at your own price this time around. It has been fun seeing how Radiohead market their albums lately. They can basically do whatever they please when it comes to this since they are the biggest band in the world. I think with The King of Limbs it is no different - They will push their product just by word of mouth and put up huge sales. The album will be the band's first since 2007's 'In Rainbows', which they released as a pay-what-you-like download. The name of the new album relates to an oak tree in Wiltshire's Savernake Forest, thought to be around 1,000 years old. The forest lies around three miles away from Tottenham House, a listed country house where Radiohead recorded part of 'In Rainbows'. The tree is a pollarded oak, referring to an ancient technique for harvesting timber for fencing and firewood. The phrase also appears in the 23rd chapter of the Qu'ran.